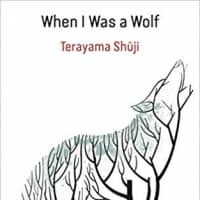 Shuji Terayama’s “When I Was a Wolf” is a collection of essays that reappraise Western fairy tales, fables and literature. Terayama draws on personal experience, other art forms and makes lateral connections in order to flip each tale and suggest to the reader that they’ve been missing the point all along. When I Was a Wolf, by Shuji Terayama, Translated by Elizabeth L. Armstrong. There is a serious playfulness to the essays. For example, Terayama’s essay on “The Emperor’s New Clothes” suggests that the emperor in question was not the dumpy middle-aged man of countless depictions, but used his “beautiful physique” and fashion sense to make his subjects like him. His nakedness — clear to all — was the logical conclusion of his attempt “to evince a new aesthetic.” The villain of the story is the uncouth child who states the obvious as if it were a deep revelation. 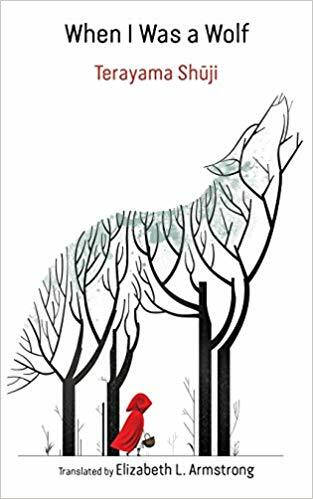 However, Terayama’s efforts fall foul of a subcutaneous misogyny most evident in the essay on Grimm’s “The Wolf and the Seven Young Kids.” He argues that wolves are misunderstood, and don’t always have sinister objectives. He then brings in as a parallel the real-life murder of a young woman in Tokyo by her stalker. Terayama asserts that, like the wolf, it was the woman’s rejection of her admirer’s unwanted advances that pushed him to murder. In 1982, when the book was first published, this kind of victim blaming was unpalatable but all too common. Today, it’s simply unacceptable. There are other examples of this kind of thinking throughout the text that ruin what could have otherwise been an enjoyable collection.